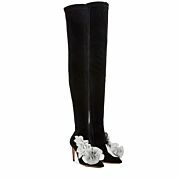 Our Jumbo Lilico boot has been updated this season. 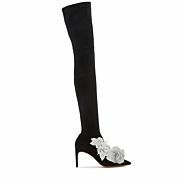 Make an entrance in our black suede over the knee boots with beautiful white leather 3D flower embellishment. Limited edition - less than 100 made!